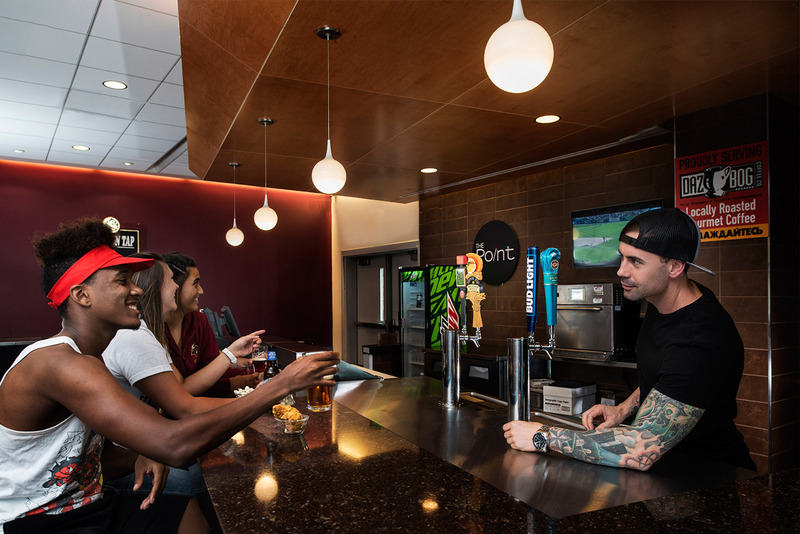 In order to increase student activity as well as a sense of community and connectedness, Colorado Mesa University added new amenities and features to the campus’ University Center. 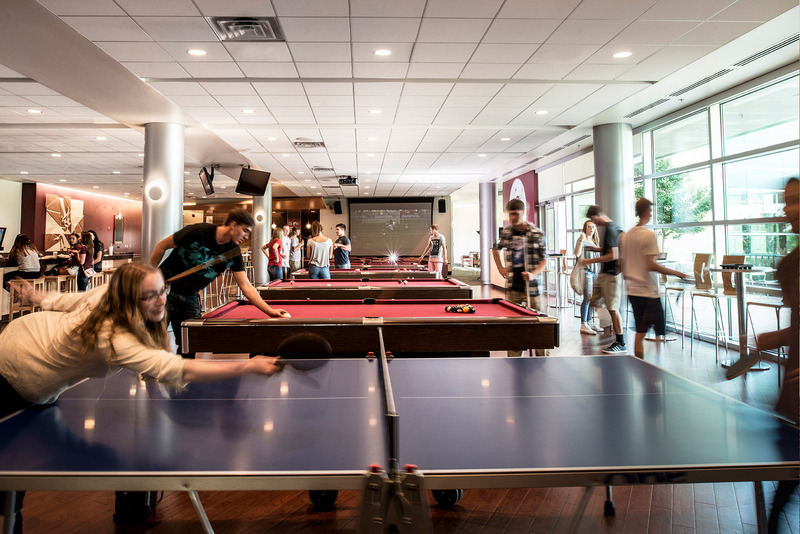 KSQ collaborated with Sun King Construction to refresh three key areas: The Game Room, the Fireside Lounge and Bookcliff Cafe. 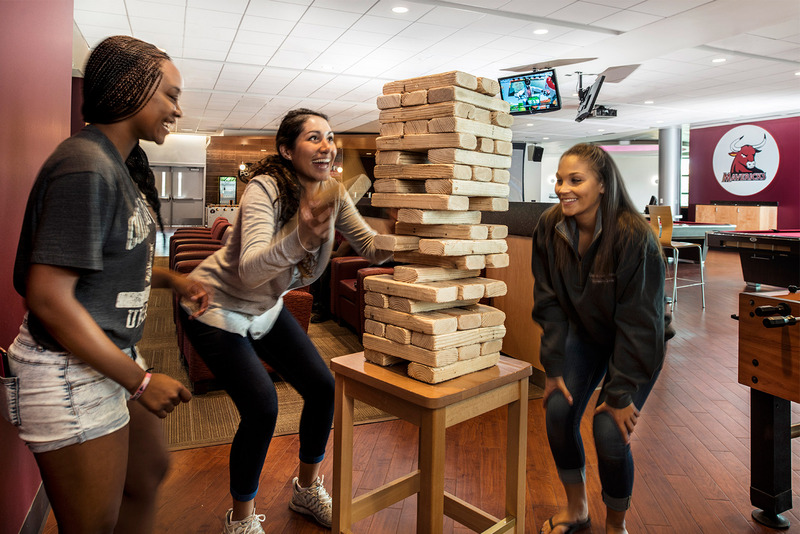 The Game Room has been renovated as the new home for The Point–a student run pub and coffee shop–and additional seating and lounge areas have been created. 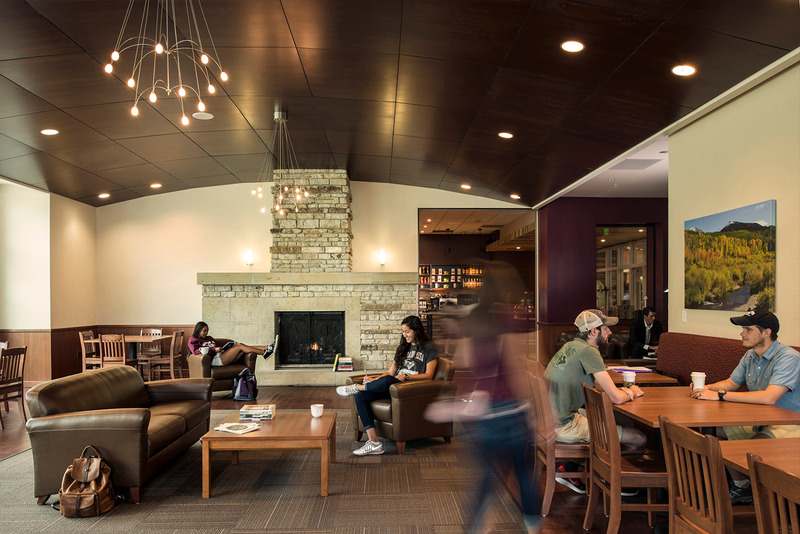 The Fireside Lounge offers additional seating and study options in a low-key space featuring student photography highlighting the natural beauty of Colorado. 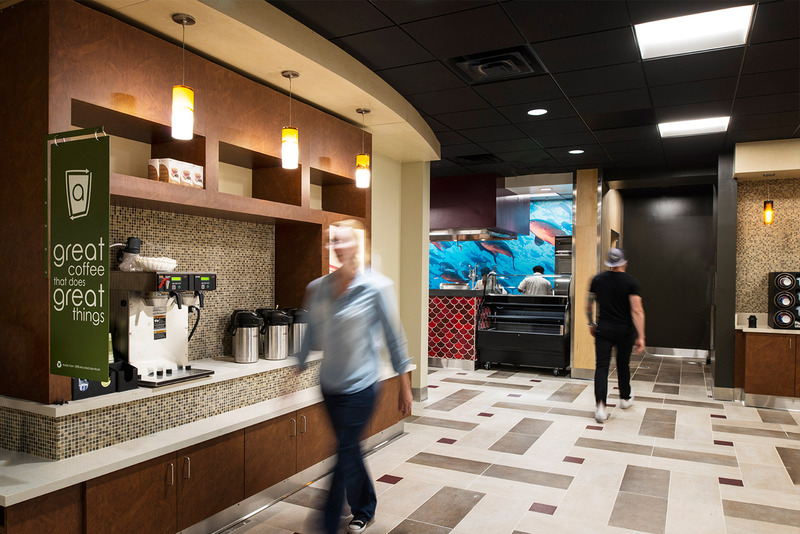 KSQ also created a better sense of entrance and connection between the north main entrance, atrium lobby, and the new Starbucks leading into the lounge areas. 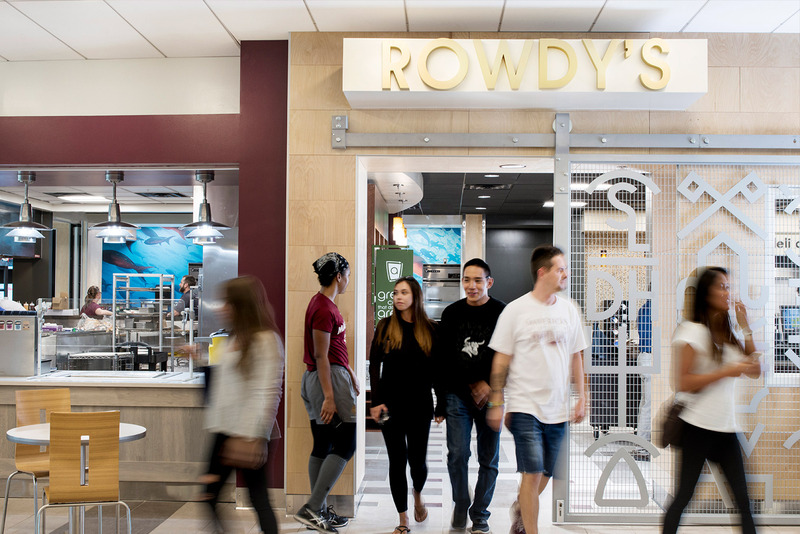 The Bookcliff Cafe was renovated to add more visibility to the space and encourage interaction among chefs and students to showcase the quality of food and help educate students on what they’re consuming–an important amenity to today’s college student.